Spirit to Serve, Professionalism, Teamwork, Integrity, Financial Responsibility and Family are our core values. Our mission is rooted in our commitment to our community. We strive to provide quality lawn care and landscaping services to our friends and neighbors in an effort to create a more beautiful Fort Worth. To be a leader of the landscape industry in the Fort Worth area. To be recognized for creativity, quality, attention to detail, and execution of professional landscape, irrigation and landscape maintenance services. Ian Biggs is a graduate of TCU's Neeley School of Business and a Marine Corps veteran. Through his passion for making things grow and thrive, he found his way into the landscape industry. He lives in the Fort Worth area with his daughter Taylynn. In his spare time, he enjoys attending sporting events, traveling, and building things. David Canet is a seasoned landscape and turf grass management professional. He began his career as a grounds keeper in the Phoenix, AZ area for high end golf courses. He quickly worked his way though the ranks to become a superintendent of some of the best golf courses in the nation. David has an extensive back ground with landscape planning, landscaping installation, irrigation, and turf grass management. 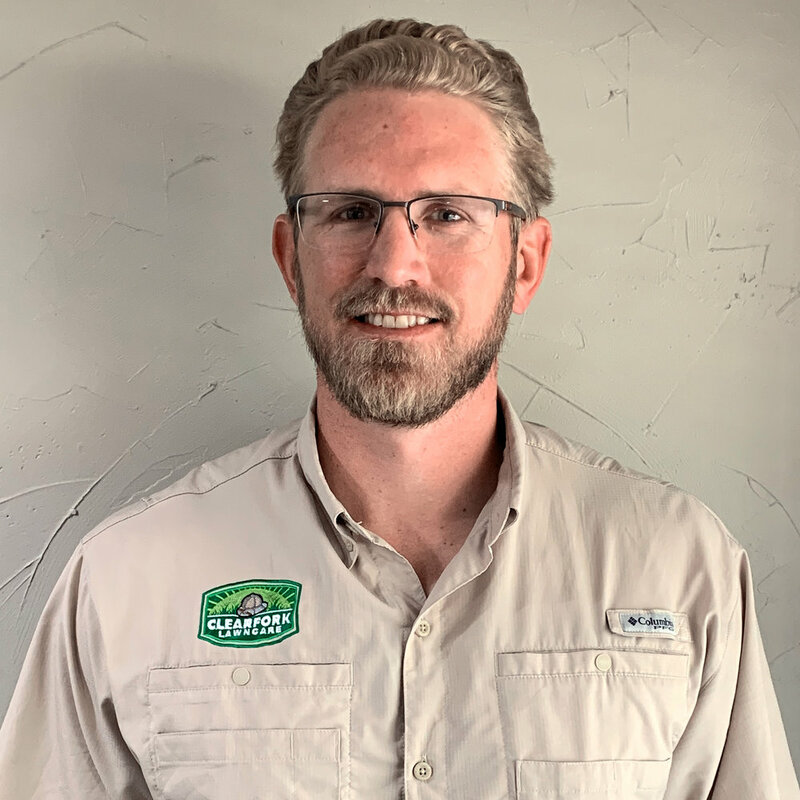 He has come to Fort Worth to work with Clearfork Lawn Care and to help grow our brand into the best in the area. In his free time he enjoys spending time with his wife, Shay, and his sons, Beckham and Caden. Ed Wise - Bio in progress. Eric Bailey - Bio and photo in progress. Sarah Castleberry - Bio in progress. There are always flowers for those who want to see them.